AI will be the power of Autodesk Flame 2020? NAB will be much more interestinteresting for VFX, Compositing artist as yesterday Adobe unveiled new After Effect with cool functionality https://www.cgrecord.net/2019/04/adobes-2019-cc-latest-update-lets-you.html, and today, Autodesk announced Flame 2020, the latest release of the Flame Family of integrated visual effects (VFX), color grading, look development and finishing system for artists. They will makse showcase in NAB show this year also. 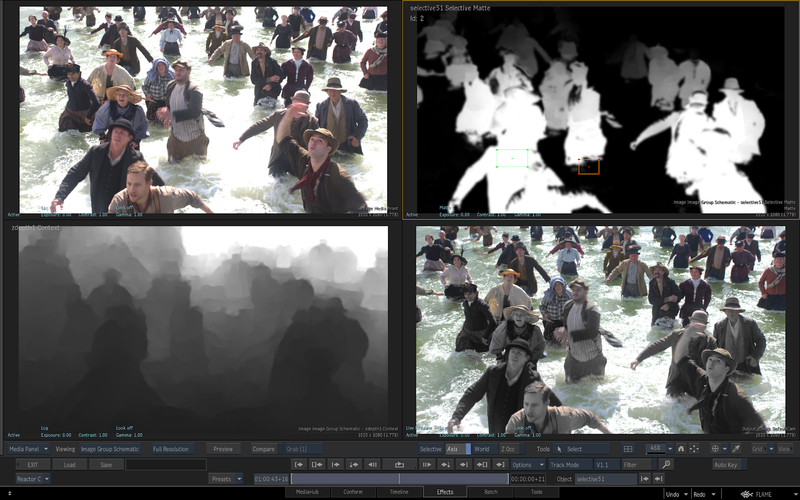 Products in the Flame Family 2020 line will include a Z Depth Map Generator that analyzes live-action scenes and generates depth maps that can be used to apply effects based on distance from camera in color-grading or look development. With Refraction feature, a 3D object can now refract, distorting background objects based on its surface material characteristics. To achieve convincing transparency through glass, ice, windshields and more, the index of refraction can be set to an accurate approximation of real-world material light refraction. 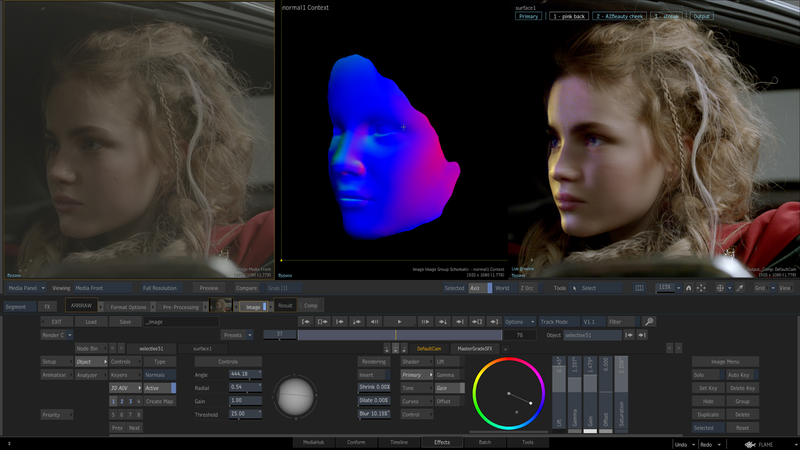 A new normal map generator has been trained to automatically recognize human faces, Autodesk said, which will have implications for color correction, relighting, retouching and beauty work centered on human performers. And a new refraction feature allows a 3D object to create distortion in the background of a scene based on its material characteristics. A productivity enhancement called Automatic Background Reactor is only available on Linux, but aims to keep projects moving by triggering background rendering automatically whenever a shot has been modified. Flame, Flare and Flame Assist 2020 will also support Open FX plug-ins as batch/BFX nodes or directly on the Flame timeline, as well as for Cryptomatte rendering. Licensing has been tweaked as well, with monthly, yearly, and three-year single-user options available for Linux. Customers on single-user licenses for Mac will be able to transfer their license to Linux, Autodesk said. Flame, Flare™, Flame Assist and Lustre 2020 will be available on April 16, 2019 at no additional cost to customers with a current Flame Family 2019 subscription. A one-year subscription to Flame is $4,205. 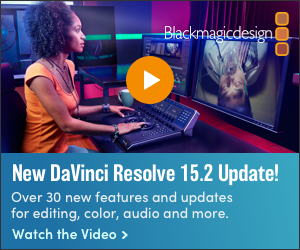 This latest update will be showcased at the NAB Show in Las Vegas, April 8-11 between 9:00am-5:00pm in a demo suite at the Renaissance Hotel. 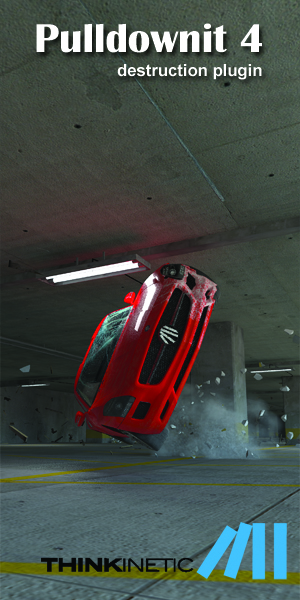 CG Daily News: AI will be the power of Autodesk Flame 2020?